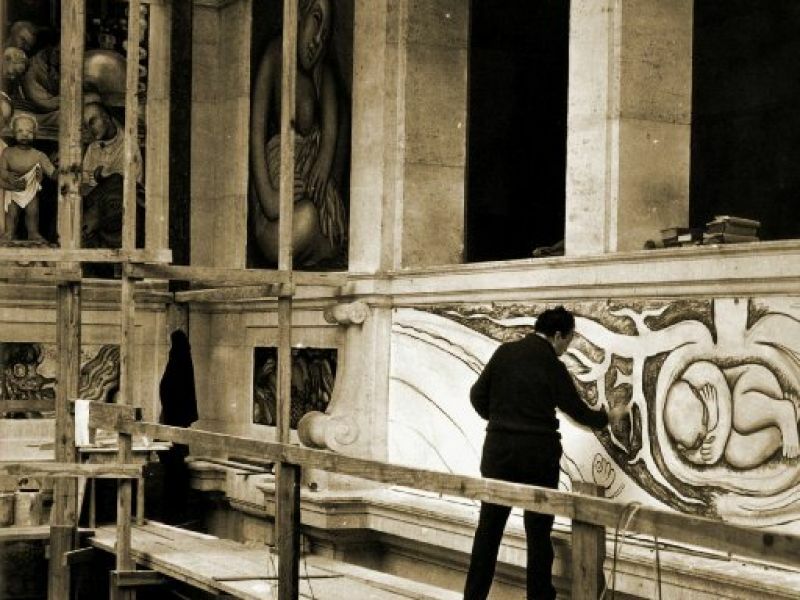 The creation of Diego Rivera's famed murals at the Detroit Institute of Arts is at the heart of the "Detroit Industry and the Ford Motor Company Motion Picture Laboratory", a program just announced as the latest addition to this year's Freep Film Festival. 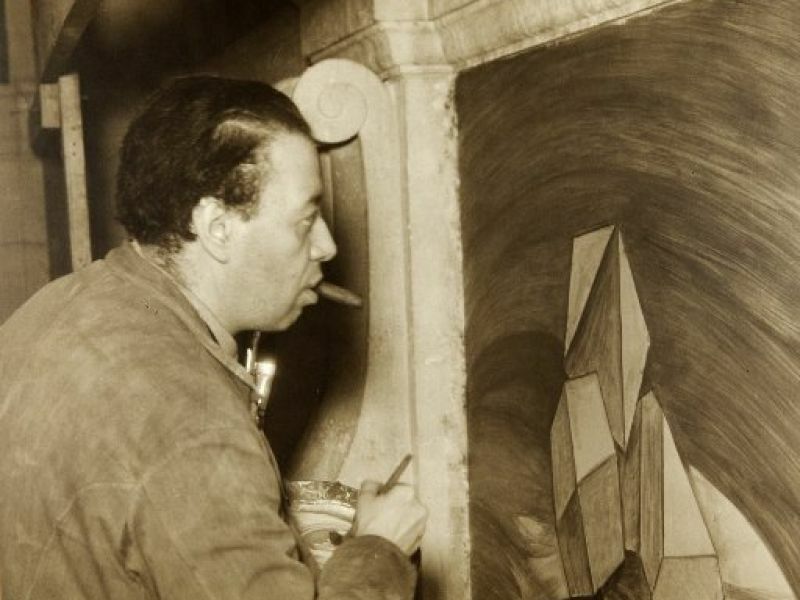 Mexican artist Rivera, accompanied by wife Frida Kahlo, spent nearly a year at the DIA working on "Detroit Industry," the courtyard murals that would become the museum's centerpiece. This two-hour program of rare silent film footage has been edited down from nearly four hours of 35mm reels shot by the Ford Motor Company Motion Picture Laboratory on several visits between 1932 and 1933. The vast majority of the footage has never been screened publicly. This films follows Rivera's process start to finish, from working with assistants to mix plaster and grind paint to building complex scaffolding on which he would be perched, painting for months. Most revealing are the casual moments between Rivera and wife Kahlo, who suffered serious health issues around this time and also came into her own as an artist. Footage shot outside the museum is sprinkled into the program, providing a charming look at daily life in the Motor City 80 years ago. Pianist David Drazin will provide live musical accompaniment to the film. Check out below the Freep Film Festival website.